Malaysia: Bursa Malaysia opened easier today but recovered thereafter tracking the better Asian markets' performances which took the cue from the stronger overnight Wall Street close, dealers said. Wall Street pushed US indices to intra-day peaks overnight with Dow Jones closing at a record, indicating confidence in the US economy ahead the Federal Reserve minutes to be published later today. At 9.05 am, the benchmark FTSE Bursa Malaysia KLCI (FBM KLCI) edged up 0.15 of a point to 1,761.28 from Tuesday's close of 1,761.13. The index opened 0.01 of a point easier at 1,761.12. On the broader market, gainers led losers by 148 to 75, with 206 counters unchanged, 1,422 untraded and 19 others were suspended. Turnover stood at 166.78 million shares worth RM57.51 million. In a note today, Alliance DBS Research said, the market saw selling activities yesterday as investors decided to take profit. Yesterday's lower low was not something unusual because market had a tendency to fall following a rise in the absence of positive news, it said. "Following the lower close, we should see selling attempt again with immediate support pegged at 1,758. "However, the analysis of overall market action on Tuesday revealed that buying power was stronger than selling pressure. 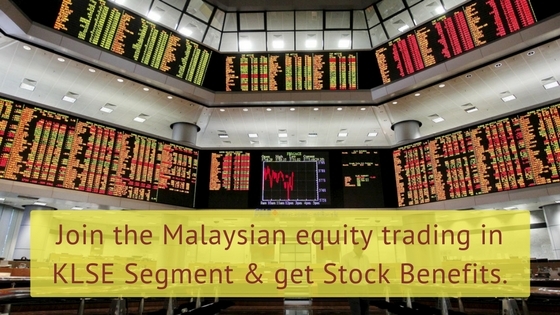 As such, FBMKLCI would likely trade above the 1,762.64 level today," it said. The three major Wall Street indexes scaled record highs, helped by gains in energy stocks and a 4.5 per cent rise in shares of Wal-Mart on the back of the company's US$20 billion share buy-back plan. The Dow Jones Industrial Average rose 69.61 points to close at 22,830.68, S&P 500 gained 5.91 points to 2,550.64 and the Nasdaq Composite added 7.52 points to 6,587.25. Of the heavyweights, TNB rose four sen to RM14.28, Maybank eased two sen to RM9.52, Sime Darby shed four sen to RM9.10, while Public Bank and Petronas Chemicals were flat at RM20.56 and RM7.34 respectively. Among active counters, Hibiscus Petroleum added one sen at 72.5 sen, Cuscapi improved half-a-sen to 34 sen, Trive Property gained 1.5 sen to 17.5 sen while Hubline and Trive Property warrant were flat at 14 sen and four sen respectively. The FBM Emas Index added 9.92 points to 12,596.83, FBMT 100 Index gained 6.69 points to 12,242.46, FBM Emas Shariah Index increased 8.71 points to 12,886.58, the FBM Ace bagged 6.84 points to 6,804.31 and FBM 70 rose 29.43 points to 15,173.91. Sector-wise, the Plantation Index expanded 20.04 points to 7,958.35 and the Industrial Index inched up 6.50 points to 3,234.51 as the Finance Index increased 11.12 points to 16,512.01. LIVE Stock Trading folio : HIBISCS; PALETTE; CUSCAPI; MTOUCHE; PWORTH.